Posted: Tue Jul 31, 2018 7:56 pm Post subject: Re: Introduce Yourself Here!!! Posted: Wed Aug 01, 2018 11:50 am Post subject: Re: Introduce Yourself Here!!! Welcome to the group Rudy! Great peeps! Border run is a BLAST! Posted: Tue Aug 07, 2018 4:54 pm Post subject: Re: Introduce Yourself Here!!! Howdy fellow FJer's I'm a retired E-9/Mustang Navy Lt and I have had my FJ since 2008. Every year I add some more to it. I have a short ABM roof rack, front and back ARB bumpers, rock rails, trailer hitch and a brand new rad Pioneer sound system with Sirius radio and back up camera. Posted: Thu Aug 09, 2018 2:01 pm Post subject: Re: Introduce Yourself Here!!! 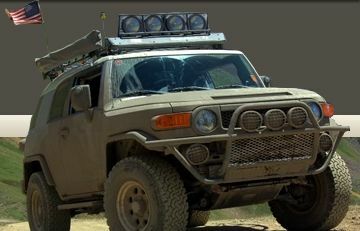 Welcome to the best FJ Group around LDOUSN. Thank you for your Service! Posted: Tue Sep 04, 2018 8:03 pm Post subject: Re: Introduce Yourself Here!!! Posted: Tue Sep 04, 2018 8:11 pm Post subject: Re: Introduce Yourself Here!!! Welcome Steve! Got a few folks here in Tucson, hope to see you out some time. Posted: Tue Sep 04, 2018 8:34 pm Post subject: Re: Introduce Yourself Here!!! Welcome new guys. Welcome Steve & Rudy. Posted: Sun Sep 23, 2018 8:57 pm Post subject: Re: Introduce Yourself Here!!! Greetings, I'm Michael from Queen Creek - I picked up my 07 FJ around this time last year. It's mostly stock. I've done a couple mods, they are listed in my profile. I've gotten out to a few places so far, looking to do more as my schedule allows. Posted: Mon Sep 24, 2018 11:30 am Post subject: Re: Introduce Yourself Here!! !